Rwanda is a small and relatively densely populated country, also known as "The Land of a Thousand Hills", in the Great Lakes region of central Africa. Rwanda as a country has been a distinct entity from pre-colonial times. It was colonised by Germany in 1884 (as part of German East Africa), then by Belgium in 1916, before gaining independence in 1962. Ethnic tensions between the Hutu and Tutsi cultural groups led to periodic episodes of violence, including the 1994 genocide. In the aftermath of the genocide there was a period of reconciliation and justice with associated improvement in economic, health and social indicators. Tea and coffee cultivation are the major cash crops, facilitated by climate and geography, and are growth agricultural industries. Mining is a significant contributor to export income. The services sector has started to recover after the late 2000s recession, including banking and communications, and particularly tourism, which is now the main source of foreign income and is supported by government. This sector is boosted by the presence of mountain gorillas in uplands areas. Rwanda has relatively high rainfall and both surface water and groundwater resources. Two major river basins cover Rwanda – the Nile and the Congo basins – and there are many lakes and wetlands. Groundwater is the main source of water supply in rural and some urban areas: in mountain areas from springs, and in other areas from boreholes. Please cite this page as: Tetero, Upton, Ó Dochartaigh and Bellwood-Howard, 2018. Rwanda. Map developed from USGS GTOPOPO30; GADM global administrative areas; and UN Revision of World Urbanization Prospects. For more information on the map development and datasets see the geography resource page. Rwanda's climate is classed as tropical savannah. Temperature does not vary significantly throughout the year but there are two distinct rainy seasons (February to May and October to December). Rainfall varies across the country, with drier conditions in the eastern savannah regions and much wetter conditions over the central plateau and western mountains. 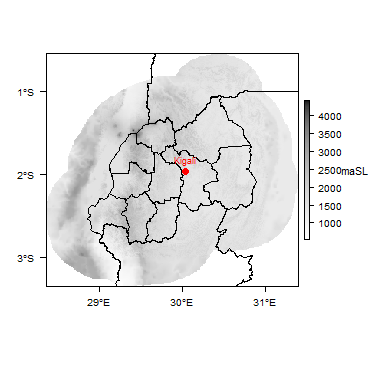 In Rwanda, rainfall data are collected by MeteoRwanda. More detailed information on rainfall at a catchment scale is described in the Rwanda Water Resources Master Plan (2014). Rwanda is divided into two major river basins: the Nile in the east and centre, and the Congo in the west. Both are shared with neighbouring countries. Within the Nile and Congo basins in Rwanda, smaller river catchments include the Rusizi and Akanyaru rivers (shared with Burundi); the Akagera River (shared with Tanzania and Burundi); the Muvumba River (shared with Uganda); and Lake Kivu and the Rusizi River (shared with the DRC). There are many smaller lakes, rivers and associated wetlands. The Akagera River, and its tributary the Nyabarongo, are two of the main rivers, both part of the upper Nile basin. Surface water resources, as other water resources in Rwanda, are managed by the Rwanda Water and Forestry Authority, previously the Rwanda Natural Resources Authority, which is affiliated to the Ministry of Environment. Nine Level 1 surface water catchments have been classified for Rwanda (see the Rwanda Water Resources Master Plan (RNRA 2014), page 10). Surface water monitoring is generally good for the large catchments, but less well established for smaller catchments (RNRA 2014). Monitoring data are collected and stored as part of the Water Management Information System. Data from 65 surface water monitoring stations is now available via the Rwanda Water Portal. 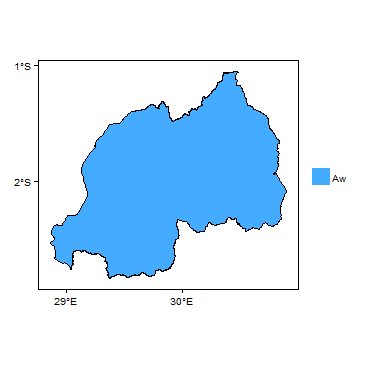 Major surface water features of Rwanda. Map developed from World Wildlife Fund HydroSHEDS; Digital Chart of the World drainage; and FAO Inland Water Bodies. For more information on the map development and datasets see the surface water resource page. 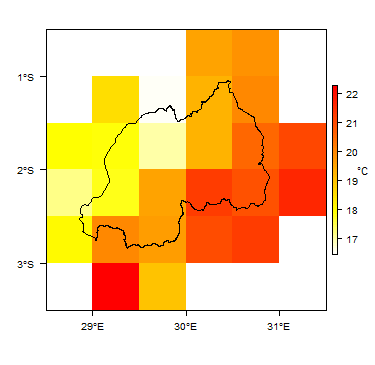 Soil Map of Rwanda, from the European Commission Joint Research Centre: European Soil Portal. For more information on the map see the soil resource page. 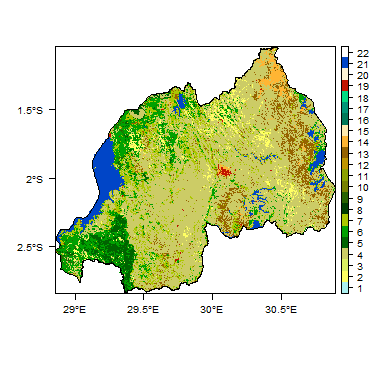 Land Cover Map of Rwanda, from the European Space Agency GlobCover 2.3, 2009. For more information on the map see the land cover resource page. The geology map shows a simplified overview of geology at a national scale (see the Geology resource page for more details). More information is available in the report UN (1988) (see References section, below). Geology of Rwanda at 1:5 million scale. Based on map described by Persits et al. 2002/Furon and Lombard 1964. For more information on the map development and datasets see the geology resource page. Alluvium and lake sediments Quaternary Unconsolidated alluvium infilling valleys and forming floodplains; and lake sediments, mainly comprising sands, silts, gravels and clays. The most significant alluvial sediments occur in the Akagera River floodplain along the eastern border with Tanzania. Smaller outcrops of alluvium are also present in river valleys across the rest of the country, but are too small to be shown on this map. Cenozoic Volcanic rocks crop out in the north and the far west of the country, largely lava flows. Schlüter (2006) divides them into northern lavas and southwestern basalt. A number of different Precambrian geological units are defined, with complex outcrops across the country, but they are not distinguished on the map because of its small scale. The main divisions are described below. Granites and associated other basement rocks Palaeoproterozoic These 'older granites', along with granitic-gneisses and migmatites, are seen in parts of eastern and southern Rwanda. Metasedimentary rocks, including the Burundian Supergroup Mesoproterozoic Metasedimentary rocks, largely quartzites, metamorphosed sandstones and shales of the Burundian Supergroup, which are locally intruded by granite. These are seen across much of the country. Named geological units within the Burundian Supergroup are the Byumba, Miyove and Lower series (Schlüter 2006). The hydrogeology map below shows a simplified overview of the type and productivity of the main aquifers at a national scale (see the Hydrogeology map resource page for more details). 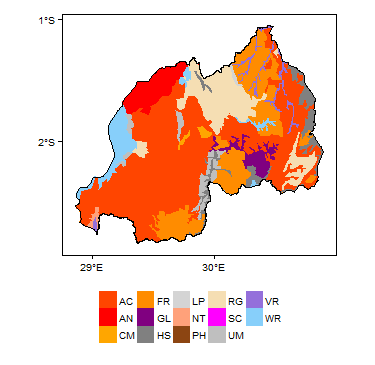 Information on groundwater in Rwanda is still relatively limited, but further detail can be found in the reports listed in the references section below, including a more detailed hydrogeological map, which is published in the Rwanda Water and Forestry Authority Annual Water Status Report 2016-2017. Most aquifers in Rwanda are found in fractured, weathered Precambrian basement rocks - mainly granites and metasedimentary quartzites and schists. Cenozoic volcanic aquifers are found in the Western Province, in the far west and on the northern border. Quaternary unconsolidated alluvial aquifers generally form narrow, shallow aquifers along river valleys. The largest outcrop is in the east of the country. High Productivity Most of the unconsolidated sedimentary aquifers are alluvial in origin, forming narrow linear aquifers along river valleys. Aquifer properties are variable, depending largely on lithology, but where alluvium is dominated by coarser grained sediment (gravel and coarse sand), storage capacity and transmissivity can be high. Aquifers are usually unconfined with a shallow water table (<15mbgl) and form locally important water supply sources. Recharge is generally high due to close connection with rivers and wetlands. Moderate Productivity Little is known about groundwater in the volcanic rocks in Rwanda. 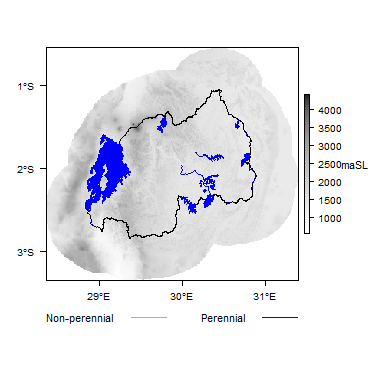 Highly permeable basalt layers are documented in the Sebeya catchment in north-west Rwanda (see the Sebeya Catchment Plan listed in the References section below). Variable Productivity (generally Low to Moderate) The productivity of basement rocks depends on the localised nature and extent of fracturing, and the presence and thickness of a weathered zone. In the eastern and western provinces groundwater is mostly found in low productivity fractured granite, gneiss and the generally more productive quartzite. A north-south trending belt of more productive metasedimentary basement rocks, including schist and quartzite, extends along the border of the western province. Groundwater quality is being monitored as part of the RWFA strategy. Issues with water quality are largely caused by poor agricultural and mining practices, as well as wastewater discharge from both domestic and industrial sources. Further detail on specific water quality issues identified by the monitoring programme are summarised in the Rwanda Water and Forestry Authority Annual Water Status Report 2016-2017 (see References below). The Ministry of Environment and the Rwanda Water and Forestry Authority (RWFA) have responsibilities for managing water resources in Rwanda. The Rwanda Water Resources Master Plan (2014) contains detailed recommendations for integrated water resources management, including setting up and operating a groundwater monitoring network. This has now started and data from the monitoring stations are available through the Rwanda Water Portal. An Annual Water Status Report was produced for 2016/17 and is available through the Water Portal (see References below). This contains a more detailed hydrogeological map of the country. The Water Resources Master Plan estimated that total groundwater storage in Rwanda is around 162,176 Million Cubic Metres. There are no reliable estimates of total groundwater abstraction, but in 2005, groundwater was reported to account for 86% of safe drinking water supply in rural areas (Ministry of Natural Resources 2011). In the Eastern and parts of the Southern Province, most people depend on groundwater from boreholes. Extensive borehole drilling and shallow well construction have been done, mostly in the Eastern Province, since 1994. As of 2009, there were at least 400 boreholes and wells in various parts of the country (Ministry of Natural Resources 2011). In upland areas, groundwater from springs is a key resource, including via many piped water supply schemes. Spring supplies can be threatened by deforestation and erosion. For further information about transboundary aquifers, please see the Transboundary aquifers resources page. References with more information on the geology and hydrogeology of Rwanda may be accessed through the Africa Groundwater Literature Archive. Further geological information can be obtained from the Rwanda Mining Board. Rwanda Natural Resources Authority (RNRA). 2014. Consultancy services for development of Rwanda National Water Resources Master Plan. Tender Number 021/RNRA/2011-2012. Master Plan Report: Main Volume. Final Version May 2014. Prepared by SHER Ingénieurs-Conseils s.a.
Rwanda Ministry of Natural Resources. 2011. Water Resources Management Sub-Sector Strategic Plan (2011-2015). Schlüter T. 2006. Geological Atlas of Africa. Water for Growth Rwanda. 2018. IWRM Programme Rwanda: Upper Nyabarongo Catchment Plan 2018-2024. Water for Growth Rwanda. 2018. IWRM Programme Rwanda: Nyabugogo Catchment Plan 2018-2024. Water for Growth Rwanda. 2018. IWRM Programme Rwanda: Sebeya Catchment Plan 2018-2024. Water for Growth Rwanda. 2018. IWRM Programme Rwanda: Muvumba Catchment Plan 2018-2024. Theunissen K, Hanon M and Fernandez N. 1991. Carte geologique du Rwanda (scale 1:250,000). Service Geologique du Rwanda et Musee Royale de l'Afrique Centrale, Tervuren. United Nations. 1989. 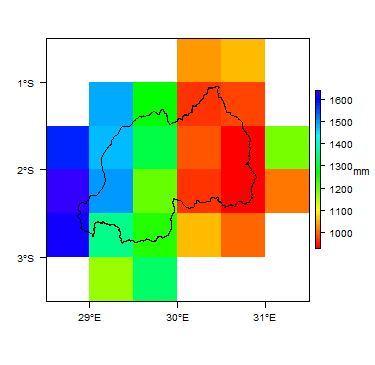 Groundwater in Eastern, Central and Southern Africa: Rwanda. United Nations Department of Technical Cooperation for Development. This page was last modified on 18 February 2019, at 10:16.